General Motors today announced that it will invest an additional $1 billion in U.S. manufacturing operations. These investments follow $2.9 billion announced in 2016 and more than $21 billion GM has invested in its U.S. operations since 2009. 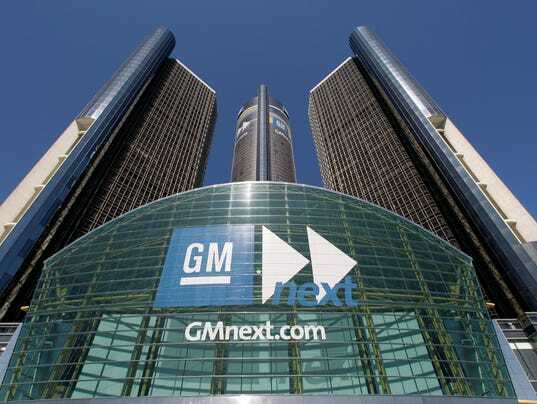 DETROIT – General Motors today announced that it will invest an additional $1 billion in U.S. manufacturing operations. These investments follow $2.9 billion announced in 2016 and more than $21 billion GM has invested in its U.S. operations since 2009. In this press release and related comments by our management, we use words like “anticipate,” “appears,” “approximately,” “believe,” “continue,” “could,” “designed,” “effect,” “estimate,” “evaluate,” “expect,” “forecast,” “goal,” “initiative,” “intend,” “may,” “objective,” “outlook,” “plan,” “potential,” “priorities,” “project,” “pursue,” “seek,” “will,” “should,” “target,” “when,” “will,” “would,” or the negative of any of those words or similar expressions to identify forward-looking statements that represent our current judgment about possible future events. In making these statements we rely on assumptions and analyses based on our experience and perception of historical trends, current conditions and expected future developments as well as other factors we consider appropriate under the circumstances. We believe these judgments are reasonable, but these statements are not guarantees of any events or financial results, and our actual results may differ materially due to a variety of important factors, both positive and negative. These factors, which may be revised or supplemented in subsequent reports on Forms 10-Q and 8-K, include, among others: (1) our ability to maintain profitability over the long-term, including our ability to fund and introduce new and improved vehicle models that are able to attract a sufficient number of consumers; (2) the success of our full-size pick-up trucks and SUVs; (3) global automobile market sales volume, which can be volatile; (4) the results of our joint ventures, which we cannot operate solely for our benefit and over which we may have limited control; (5) our ability to realize production efficiencies and to achieve reductions in costs as we implement operating effectiveness initiatives throughout our automotive operations; (6) our ability to maintain quality control over our vehicles and avoid material vehicle recalls and the cost and effect on our reputation and products; (7) our ability to maintain adequate liquidity and financing sources including as required to fund our new technology; (8) our ability to realize successful vehicle applications of new technology and our ability to deliver new products, services and customer experiences in response to new participants in the automotive industry; (9) volatility in the price of oil; (10) the ability of our suppliers to deliver parts, systems and components without disruption and at such times to allow us to meet production schedules; (11) risks associated with our manufacturing facilities around the world; (12) our ability to manage the distribution channels for our products; (13) our ability to successfully restructure our operations in various countries; (14) the continued availability of wholesale and retail financing in markets in which we operate to support the sale of our vehicles, which is dependent on those entities' ability to obtain funding and their continued willingness to provide financing; (15) changes in economic conditions, commodity prices, housing prices, foreign currency exchange rates or political stability in the markets in which we operate; (16) significant changes in the competitive environment, including the effect of competition and excess manufacturing capacity in our markets, on our pricing policies or use of incentives and the introduction of new and improved vehicle models by our competitors; (17) significant changes in political, regulatory and market conditions in the countries in which we operate, particularly China, with the effect of competition from new market entrants, and in the United Kingdom with passage of a referendum to discontinue membership in the European Union; (18) changes in existing, or the adoption of new, laws, regulations, policies or other activities of governments, agencies and similar organizations, particularly laws, regulations and policies relating to vehicle safety including recalls, and including such actions that may affect the production, licensing, distribution or sale of our products, the cost thereof or applicable tax rates; (19) stricter or novel interpretations and consequent enforcement of existing laws, regulations and policies; (20) costs and risks associated with litigation and government investigations including the potential imposition of damages, substantial fines, civil lawsuits and criminal penalties, interruptions of business, modification of business practices, equitable remedies and other sanctions against us in connection with various legal proceedings and investigations relating to our various recalls; (21) our ability to comply with the terms of the DPA; (22) our ability to manage risks related to security breaches and other disruptions to our vehicles, information technology networks and systems; (23) significant increases in our pension expense or projected pension contributions resulting from changes in the value of plan assets, the discount rate applied to value the pension liabilities or mortality or other assumption changes; (24) our continued ability to develop captive financing capability through GM Financial; and (25) changes in accounting principles, or their application or interpretation, and our ability to make estimates and the assumptions underlying the estimates, which could have an effect on earnings. We caution readers not to place undue reliance on forward-looking statements. We undertake no obligation to update publicly or otherwise revise any forward-looking statements, whether as a result of new information, future events or other factors that affect the subject of these statements, except where we are expressly required to do so by law. GM’s Investor Relations website at http://www.gm.com/investors contains a significant amount of information about GM, including financial and other information for investors. GM encourages investors to visit our website, as information is updated and new information is posted.